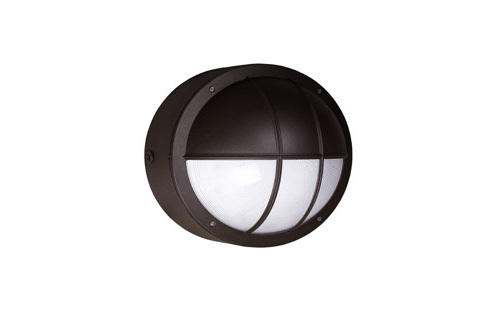 The outdoor LED bulkheads and accent wall or ceiling fixtures are rated for wet location. 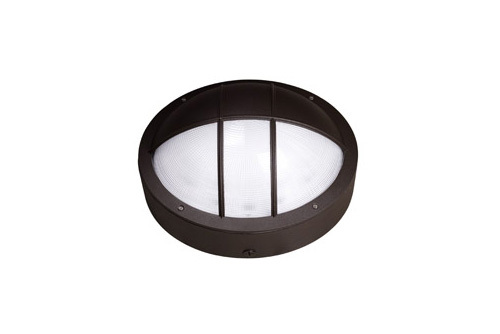 Ideal for both commercial and residential applications. Use on packing areas, entrances, walkways entrances, walkways or building surface. - Cast aluminum door frame with polycarbonate diffuser. - Casting dissipates ballast heat for long life. - White powder paint finish aluminum designed reflector for best light efficiency. - Silicone rubber is included to prevent any leakage from the outside. - Dark bronze powder paint finish standard on frame and housing. - For optional finishes, black, gray and white consult factory. -“D” and “Q” series with hood for wall mount only. “H” series with guard for wall and ceiling mount. “O” series with opal lens for wall and ceiling mount. - Wall or ceiling mounting. - Die cast aluminum housing allows firm mounting over recessed junction boxes or on flat surfaces for 1/2” surface conduit. - LED input 20 watts drivers 13 LEDs. - Input Voltage: 120V-277V, 50/60Hz. - LEDs have nominal 5000K standard color. - Operating temperature: -4°F (-20°C) ~ 104°F (+40°C). - Listed to UL 1598 and UL 8750. - Suitable for wet location. - 5 years limited warranty.